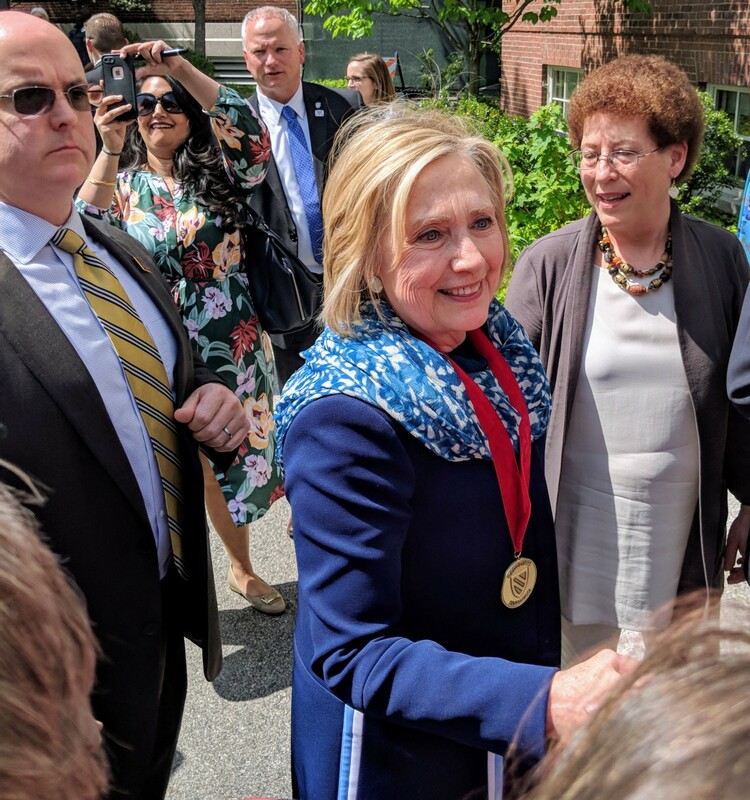 Friday at Radcliffe — in a tent wonderfully filled with 80 or 90 percent women, from the class of ’41 on— I had the privilege of seeing Hillary Clinton receive the Radcliffe Medal. I left ever-more impressed with her wisdom, experience, and civility — with her leadership — and, of course, ever-more depressed that what should be is not what is. Our country is dangerously polarized. We have sorted ourselves into opposing camps…. The divides on race and religion are starker than ever before and as the middle shrank, partisan animosity grew…. Now I don’t want to get political, but I want to say this is not just — just — a both-sides problem. The radicalization of American politics has not been symmetrical. There are forces — and leaders — in our country who blatantly incite people with hateful rhetoric, who stoke fear of change, who see the world in zero-sum terms so that if others are gaining then everyone else must be losing. That is a recipe for polarization and conflict. I do believe that healing our country will take radical empathy, reaching across the divides of race, class, but mostly politics to try to see the world through the eyes of people very different from ourselves, and to try to return to rational debate, to find a way to disagree without being disagreeable, to recapture a sense of common humanity. When we think about politics and judge our leaders, we can’t just ask: ‘Am I better off than I was four years ago?’ We should also ask: ‘Are we all better off? Are we as a country better, stronger, and fairer?’ And empathy should not only be at the center of our individual lives, our families, and our communities but at the center of our public life, our policies, and our politics. I know we don’t think of politics and empathy going hand-in-hand these days, but they can and they must. As Madeleine [Albright] writes in her new book: This generosity of spirit, this caring about others and the proposition that we are all created equal is the single most effective antidote to the self-centered moral numbness that allows fascism to thrive…. Right now we are living through a crisis in our democracy. There certainly are not tanks in the street. But what’s happening goes to the heart of who we are as a nation. And I say this not as a Democrat who lost an election but as an American afraid of losing a country. There are certain things that are so essential they must transcend politics. Waging a war on the rule of law and a free press, delegitimizing elections, perpetuating corruption, and rejecting the idea that our leaders should be public servants, undermining our national unity, and attacking truth and reason — these should alarm us all, whether we’re Republicans, Democrats, independents, vegetarians, whoever we might be. And attempting to erase the line between fact and fiction, truth and an alternative reality, is a core feature of authoritarianism. The goal is to make us question logic and reason and sow mistrust, toward exactly the people I think we need to rely on: our leaders, the press, experts who seek to guide public policy based on evidence, ultimately ourselves. So how do we build democratic resilience? It does begin with standing up for the truth, facts, and reason, not only in the classroom and on campus but every day in our lives. And it means speaking out about the vital role of higher education in our society to create opportunity and equity. It means calling out actual fake news when we see it and supporting brave journalism and reporting — and, yes, subscribing to a newspaper; remember those? 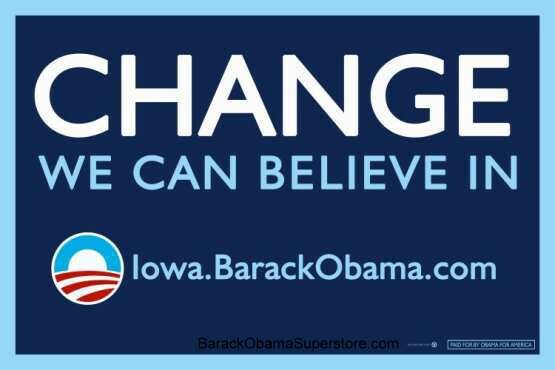 Most of all, as obvious as it seems, it means voting…. And finally, that’s why I am so optimistic about the future, because of how unbelievably tough we are proving to be. I’ve encountered many people in recent months who give me hope: the students in Parkland, now the students in Santa Fe, many people in communities who have responded with courage and resolve…. And I find hope in the many women — and men — who are dismantling the notion that women should have to endure harassment and violence as a part of life…. So, yes, I know there are many fights to fight, and more seem to arise every day. And it will take work to keep up the pressure and to stay vigilant. We can neither close our eyes nor numb our hearts or throw up our hands and say, someone else take over from here. But there has not been a time — certainly in fifty years, and maybe not even for longer than that — where our country depends on every citizen believing in the power of your actions, even when that power is invisible, and your efforts feel like you are in an uphill battle, and voting even when your side loses. It comes down to be a matter, really, of infinite faith. So pace ourselves. Lean on each other. Look for the good wherever we can. Celebrate the heroes. Encourage the children. Find ways to disagree respectfully. Be ready to lose some fights. But don’t quit. As John McCain recently reminded us, no just cause is futile, even if it’s lost. What matters is that we keep going. I could not help feeling that she is leading a government in exile. Like de Gaulle issuing messages on the wireless, she had one for civil servants trapped in an uncivil administration: “I hope people in government who are not political appointees will stay as long as they can.” She is defending our nation against an attack from within: “It’s not been an easy time for more than half our country since the 2016 election. And I still think that understanding what happened in that weird and wild election will help us defend our democracy in the future.” Yes, Mr. Mueller, do your work. I was also impressed with how she never shrinks from the toughest fight. Massachusetts Attorney General Maura Healey asked Clinton what company she’d want to head. She didn’t hesitate, even for a beat. “Facebook,” she replied. Why? “It is the biggest news platform in the world.” This is why I hope someday to be able to talk with her in front of our CUNY journalism students about her view of political coverage and how to fix it. After her talk, given the chance — what the heck? — I joined the scrum of fans just to shake her hand and thank her. For what? For fighting for us. They kill horses, don’t they? World News Tonight tonight had Jake Tapper acting as if he had a big exclusive investigative report: Hillary Clinton is now rich! And she’s a liberal! Irony? He thinks so. Uh, what about Franklin Roosevelt? John F. Kennedy? John Edwards for that matter? Another nonstory. Another attack on Hillary for the sake of it. It was followed by a softball to Obama. Bias? No, no bias. What makes you say, that, Jeff? Jim Wolcott (fellow Hillary voter) dissects the feud — schism, actually — at Daily Kos and within the Democratic Party. Note well that the nasties in this story are the followers of Mr. Getalong. The rancor was disproportionate in intensity and extravagant in invective, a fervor worthy of ancestral foes. Months-old grievances seethed and erupted as if they had been bubbling for centuries in a lake of bad blood. . . .
Obama may paint himself as Mr. Nice Guy but he certainly has a nasty bunch of friends.